Recent news that Network Rail will be answerable to parliament has caused a stir among MPs, executives and the public more generally. Is this the first step on the road to re-nationalisation? Is this what the public want? And how is the operator performing in its current guise? The news comes as passengers are informed of incoming price increases across several services, which in many cases has exacerbated existing ill-feelings towards the rail system and operators. Using YouGov BrandIndex data, we can assess how the company has been acting in the eyes of the public. YouGov’s Index rating a combination of metrics including quality, value, satisfaction and reputation, has been negative since the turn of the year, averaging -2.8 over this period. 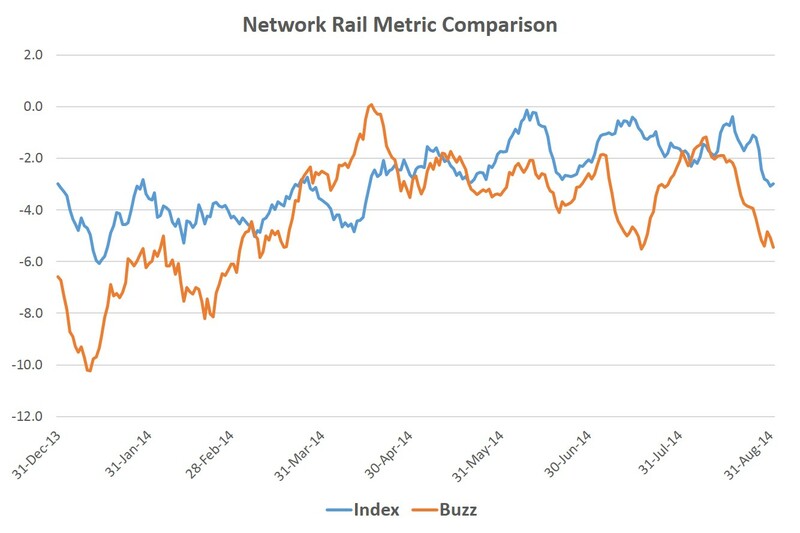 Worryingly for Network Rail, we have seen a recent decline in its score. From -0.8 in the middle of August, their score has declined to -3-1. YouGov’s Buzz Metric (whether a respondent has heard anything positive or negative about the brand in the past two weeks) tells an even sorrier tale. Since January 1st its Buzz average is -4.1, with a lowest ebb of -10.2. Again we are currently seeing a decline in scores, with a score of -1.8 half way through August now -5.8. This underlines the negative press currently encircling the embittered operator. 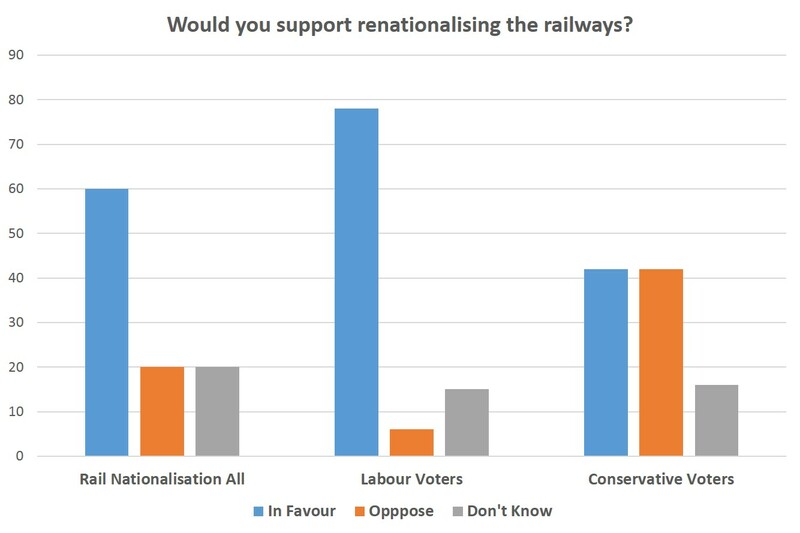 In May, our polling with the Sunday Times revealed UK attitudes towards renationalising the railways. Three out of five (60%) said they would support running the railways in the public sector, rather than by private companies. Only one fifth (20%) said they would oppose this policy, while the same amount said they didn’t know. We can also analyse the opinions given by political party voting intention. Almost eight in ten (78%) of Labour voters were in favour, against only 6% of those who were opposed. Perhaps more surprisingly, the same amount of Conservative voters (42%) were in favour as were against. Clearly, the issue of renationalisation is going to be a crucial consideration in the months and years ahead. As long as consumers feel they are being offered an unfair deal, annoyance at the current system will fester, which could lead to a longing for a new way of running the railways.